Urban Yoga teaches the timeless, non-sectarian path of Krishna bhakti, devotion to God and all souls. Because the practice of Krishna bhakti offers access to a deeply personal and intimate relationship with God and all living beings, the Bhagavad-gita describes it as the highest stage of spiritual yoga and the joyful climax of all forms of religiosity. The practice of Krishna bhakti was first established in the West by A.C. Bhaktivedanta Swami Prabhupada and his dedicated students. Urban Yoga continues Prabhupada’s legacy by doing everything possible to make Krishna bhakti easy, relevant, effective, and enjoyable for Western people, without in any way compromising, diluting, or diminishing the purity and power of its glorious ancient tradition. 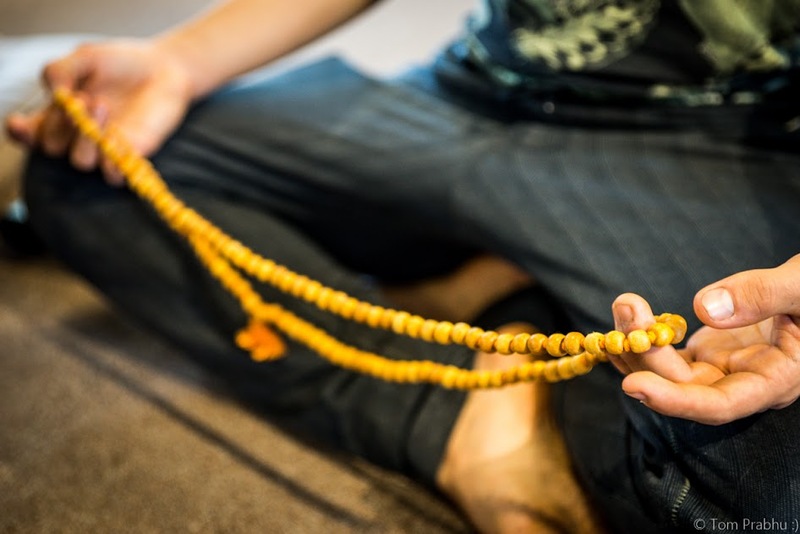 Chanting the Hare Krishna mantra is described as one of the most joyful and effective means of meditation for deepening our consciousness and relationship with God, Krishna. Vegetarian food becomes spiritualized and karma-free when it is offered back to God, the Absolute Provider, with love and devotion. This simple yet sublime practice deeply nourishes both the body and soul by cultivating the qualities of gratitude, compassion, and non-violence in one’s character. In the same way that love is displayed and cultivated by parents when cooking for their children, similarly cooking for God promises an equally intimate relationship. An ancient tradition practiced in South Asia for over 2,000 years, the ritual of cooking and offering vegetarian foods has the potential of evoking the highest of spiritual realizations, as demonstrated in the teachings of the Srimad Bhagavatam. Moreover, by eating karma-free vegetarian food, we support the health of our families, our communities, and the entire planet. The practice of Krishna bhakti is informed by sacred texts and powerful commentaries found within the Gaudiya-Vaishnava tradition. By studying and reflecting upon the peerless wisdom found in the Bhagavad-gita and Srimad Bhagavatam, we tap into a vast ocean of transcendental knowledge that propels us on our journey of self-discovery. With a heightened understanding of ourselves and our place in the world, we gain clarity of purpose, contentment in relationships, focus for setting personal and career goals, and the ability and determination to reach our full potentials.